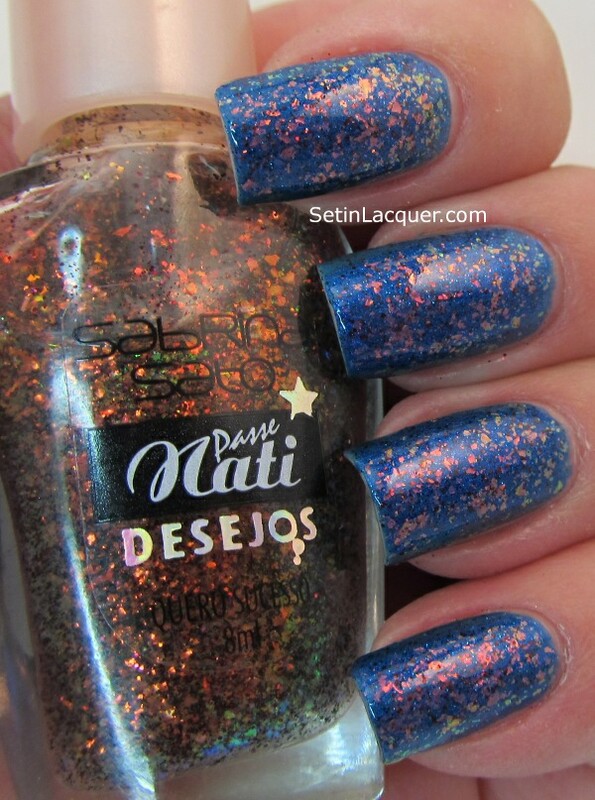 Today's post is packed full of flakie nail polishes. Not everyday flakies either - these are monster flakies! Darling Diva has released the Monster Crush Collection. She always surprises me with her colors and finishes and these were no different. This is a two-part collection. This is Part Two of Monster Crush. You can see Part one of the collection in my previous post. These polishes are meant to be applied over a base color. But can be opaque in five coats - if you're that patient. The formula is wonderful. They apply ever so smooth and the flakes rest flat against the nail. Let's take a look! 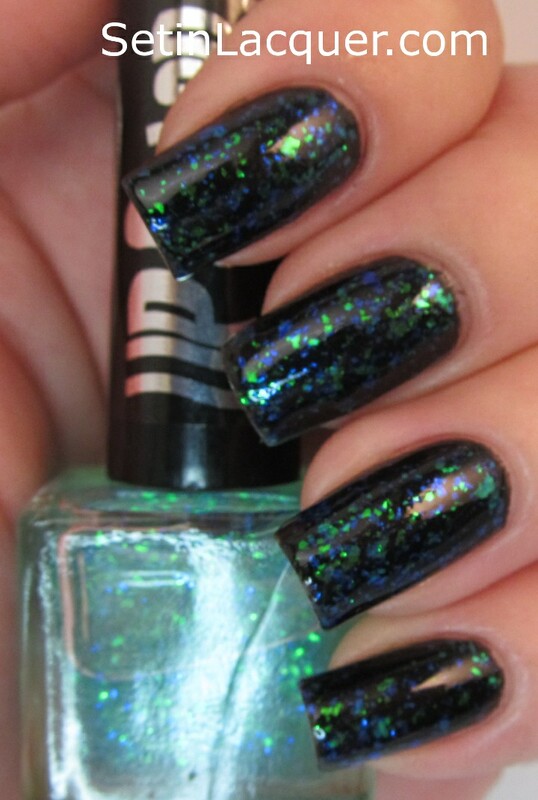 All of these are shown over Colors by Llarowe Vincent - a black creme polish and have a top coat applied. 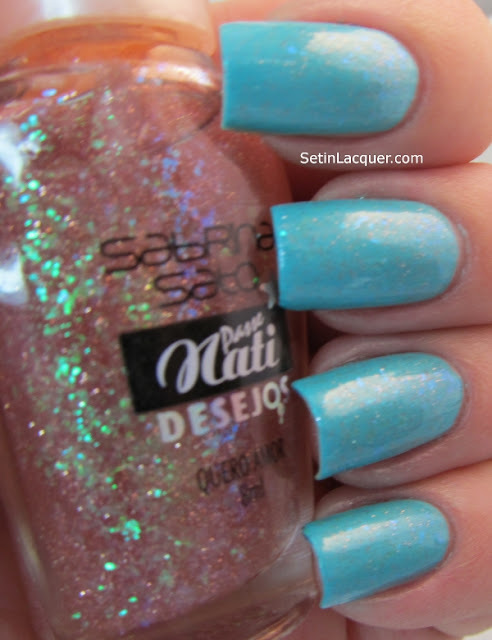 Hellia is a turquoise - to pink - to purple flakie with holo shimmer. The flakes are gorgeous and are complemented by the holographic shimmer. I had no application issues. Prilea is a green - to gold - to rose flakie with holo shimmer and shine. This mixture of flakes is mesmerizing. I love the color shifts in this one. Verad is a gold - to green - to blue flakie with holo shine. It seems primarily blue and green. I love almost anything with these shades of blue and green. 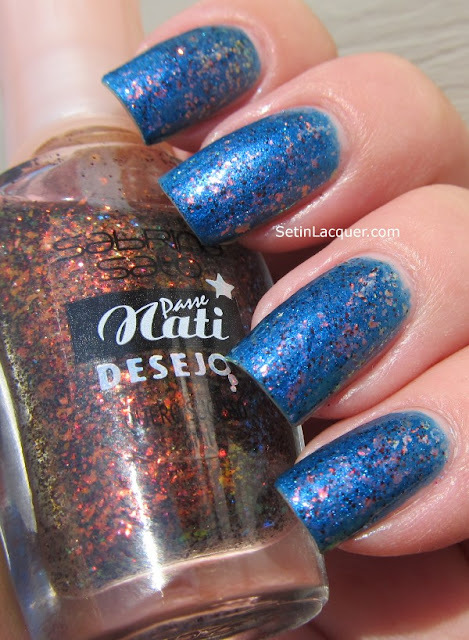 Tilasha is a blue to red flakie with holo. This set is also available without the holo shift. So take your pick. I adore these flakie polishes. One important note: do not shake these polishes. 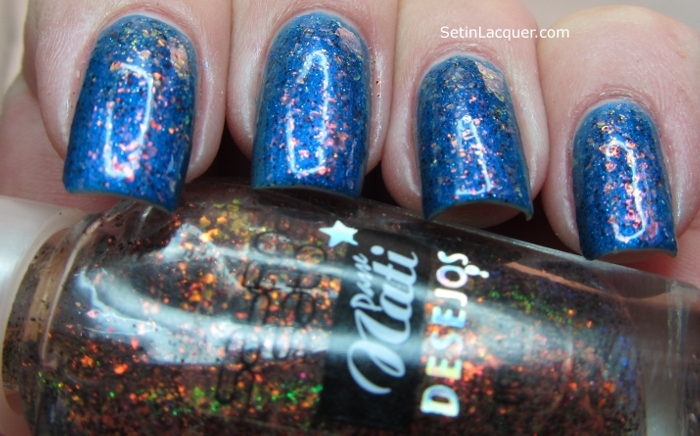 The flakies are fragile in the bottle, but not on the nail of course. A simple roll of the polish bottle should be all that is needed. Follow Darling Diva Polish on Facebook and Instagram. You can purchase these gorgeous polishes from the Darling Diva Polish BigCartel store for $12.50 for the holo version and $12 for the non holo version. I tried out a new line (well, new for me) of polish and I am grateful for the opportunity to share it with you. Today I have two UP Colors flakies and two UP Colors holographics for you. 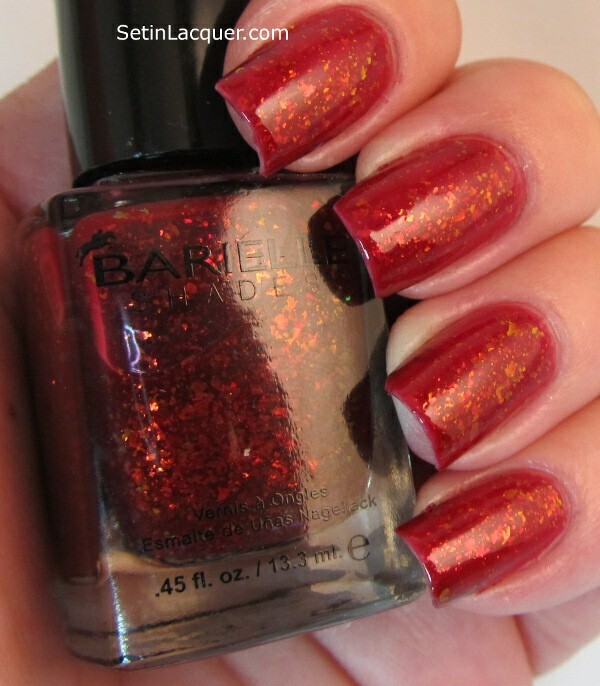 This polishes are great. They have a wonderful application and a quick dry time. The holographics are subtle yet noticeable. The flakies are vibrant and rich. 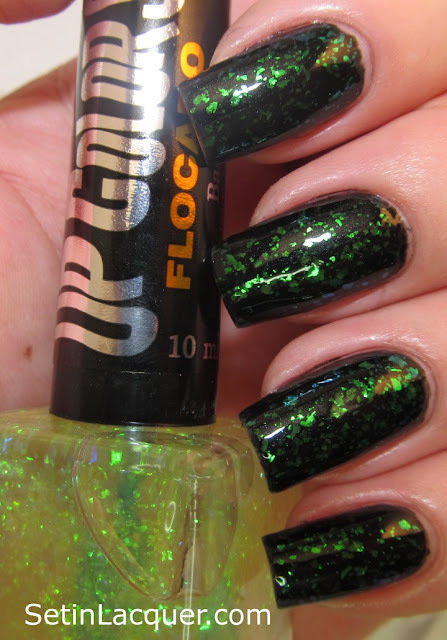 UP polishes are available at Llarowe. Llarowe is a one-stop shop for specialty nail polishes that aren't available in stores. I used UP Colors Banho de Mar! over Zoya Raven. Look at those wonderful blue and green flakies. This is probably my favorite color combination in anything. I love deep ocean blues with grassy greens. 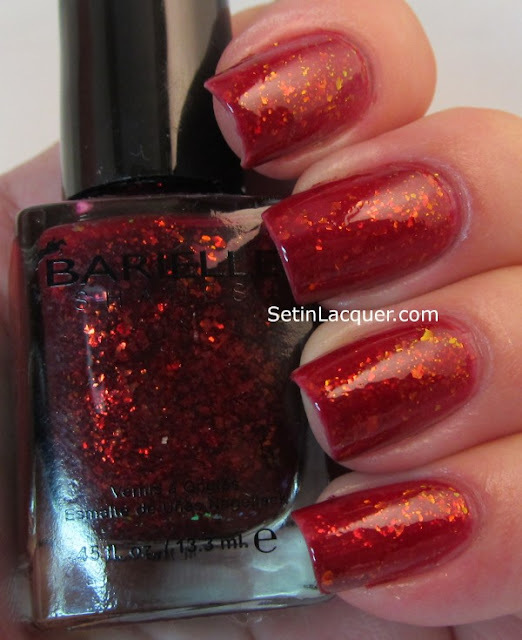 This was extremely easy to apply and the flakes distributed evenly and smoothly. UP Colors Base is gorgeous over Zoya Raven. 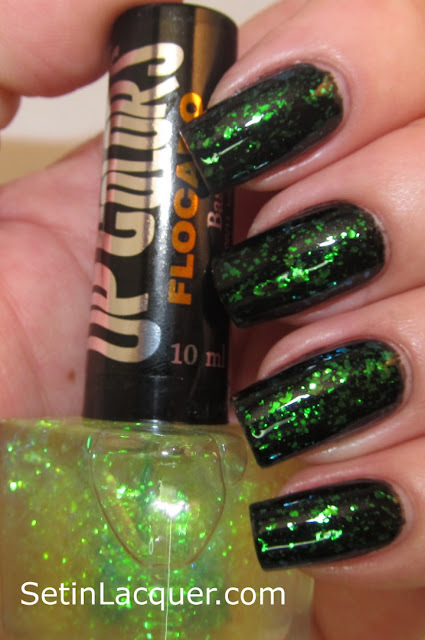 The true green shimmer is classy and vibrant. 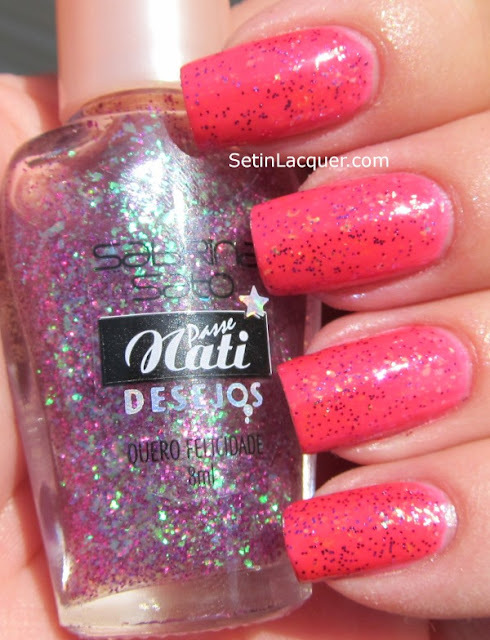 UP Colors holographic Rosa Prisma is a light muted rose color. Very classy and elegant. 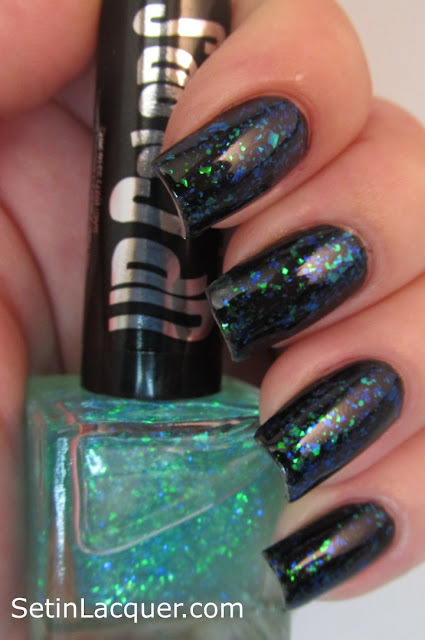 The holographic sheen adds a depth to the polish that give it that extra oomph. 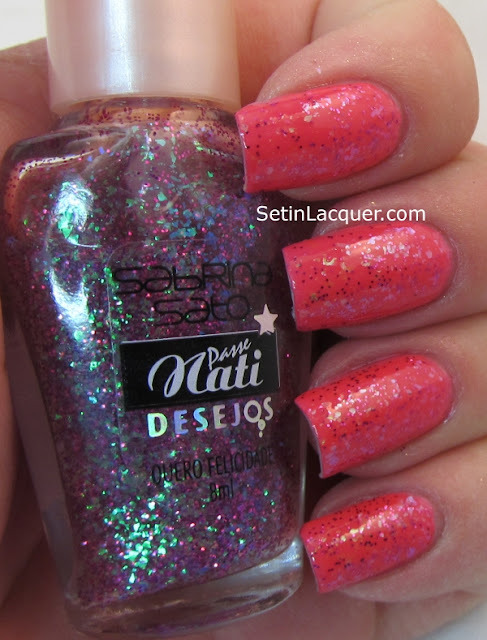 UP Colors Brilho Rose is a more vivid pink although still muted and elegant. 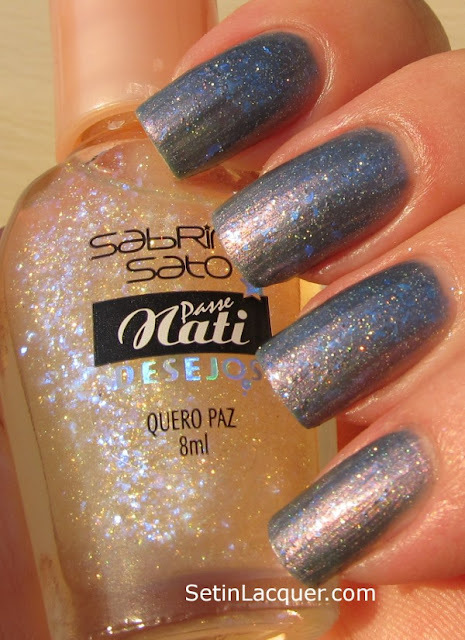 The holographic shimmer is gorgeous. Bottom line: UP Colors is a brand that I will definitely try again. Class and elegance are defined in the holographics and the flakies are vibrant and bold. UP Colors are available at shop.llarowe.com. The flakes are $8 and the holographic polishes are $9.